The City of Moonee Valley is located within the metropolitan area of Melbourne, Victoria, Australia. It comprises the north-western suburbs between 3 and 13 kilometres from the Melbourne city centre and offers a huge range of local parks, ovals and outdoor areas for group exercise and personal training sessions. Thinking about getting fit, losing weight, improving your health or improving your sporting and exercise performance? All our MaxNRG Personal Trainers are highly qualified and skilled exercise professionals who offer mobile personal training throughout Moonee Valley that get the best results for all our clients. View our local business listing on the MVCC directory below. If you want to be shown everything you need to lose body fat, and be given high quality professional instruction and coaching to ensure all your workouts are safe, then this is where you will find it. You will be trained using proven methods and the most effective routines to lose body fat and tone up whilst increasing your lean muscle and overall fitness. 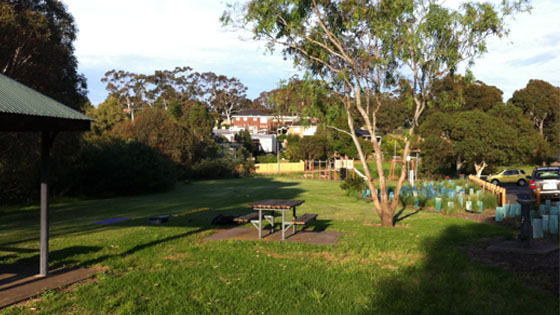 Having a great outdoor location for personal training in Moonee Valley is easy to find. Aberfeldie Park, located beside the Maribyrnong RiverAberfeldie Park is a great location for fitness groups and we run a large number of personal training sessions and group training session here. Afton Street Reserve, Afton Street, AberfeldieAfton Street Reserve is a historical open space on the Maribyrnong River and is known to a lot of our clients as having the worst hill in the world. Boeing Reserve, Boeing Road, Strathmore HeightsBoeing Reserve is one of the largest reserves in Moonee Valley, stretching along Moonee Ponds Creek and linking to other parks and reserves by the Moonee Ponds Bike Path. Canning Reserve, Canning Street, Avondale HeightsThe Canning Street Tea Gardens is a great training spot in Moonee Valley with a running track extends along the Maribyrnong River. Fairbairn Park, Newsom Street, Ascot ValeFairbairn Park, located next to the Maribyrnong River, has a series of open spaces for group training, personal training and corporate fitness and health programs. Five Mile Creek ReserveFive Mile Creek reserve is another main park in Moonee Valley that can be used for outdoor fitness training. Hansen and Etzel Reserve, Etzel Street, Airport WestHansen and Etzel Reserves is the home of the Airport West Sporting Club and have two sports fields and a small undercover area that can be used for you personal training sessions. JH Allen Reserve, The Crossway, East KeilorThe JH Allen Reserve is a large tree lined reserve with a lot of open spaces that a number of our clients regularly use. Maribyrnong Park, Holmes Road, Moonee PondsMaribyrnong Park is a large reserve that borders the Maribyrnong River and is well known by anyone that has ever walked or run before. The park features two sports fields and it also has an excellent path network for walking and cycling to surrounding areas. Queens Park, Cnr Mt Alexander Road and Kellaway Avenue, Moonee PondsQueens Park is a small park and finding a car park can be difficult but is a popular location to train. Spring Gully Reserve, Keilor Road, East KeilorSpring Gully Reserve is a large reserve surrounding a section of Steele Creek with a developed open space for group training and personal training sessions. Victory Park, Cnr Epsom and Langs Road, Ascot ValeVictory Park has one of Moonee Valley’s best playgrounds, and is also adjacent to the Ascot Vale Leisure Centre. Woodlands Park, Cnr Woodlands Street and Carnarvon Road, EssendonWoodlands Park is a popular that is great for training. It has an undercover area incase of bad weather, and plenty of open space for group training and running programs. We currently have mobile personal trainers working in all the current locations listed below. To learn more about the local personal training locations that we use, and the wide range of personal training and boot camp services we offer choose a suburb from the list below. Pick up the phone and call now on 0403-741-278, fill out our online enquiry form or send an email (info@maxnrgpt.com.au) to have a no-obligation consultation about your health and fitness goals. Our team of experienced mobile personal trainers offer all our personal training services in the following municipalities and their suburbs in the greater metropolitan area of Melbourne, VICTORIA. City of Melbourne, City of Hume, City of Yarra, City of Port Phillip, City of Darebin, City of Moreland, City of Brimbank, City of Hobsons Bay, City of Maribyrnong, Shire of Melton, City of Moonee Valley.